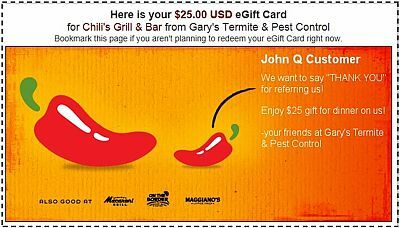 FREE Chili's $25 eGift Card! It's easy to redeem! Just print out the card from your e-mail or Facebook account and bring it with you. Or you can even bring it in on your smartphone! Newly referred customers must have a minimum of $250 worth of services performed. Services are not required to all be performed at one time and may be spread out throughout any one 12 month period. Both the new referral customer AND the customer "referring" must have accounts in "good standing" with no outstanding balance(s). 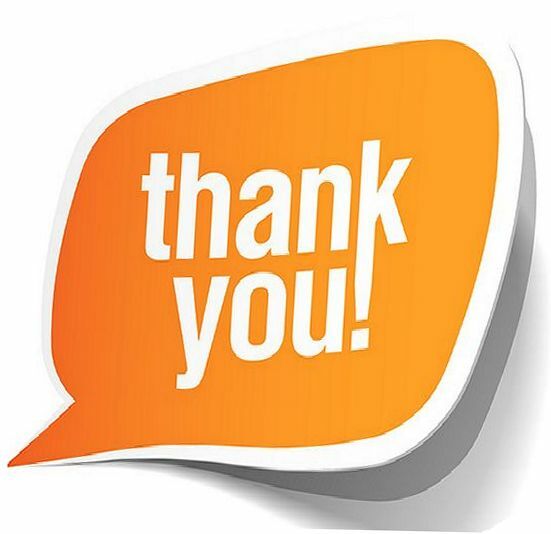 To receive the Thank You via e-mail, we must have a valid e-mail address to which to send the Thank You in our records. To receive via Facebook, the referring customer must be a current member (Like Us) of our Facebook page. The Chili's Thank You will be issued once the minimum requirements have been satisfied. Customers may refer as often as they like. We so appreciate our MistAway customers. 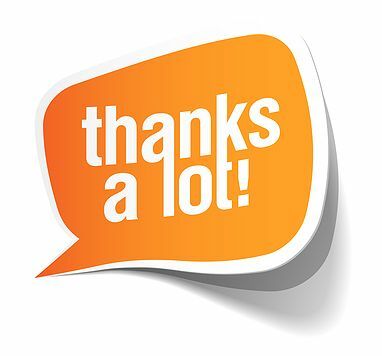 To say "Thank You!" for referring us to their friends and family, MistAway customers receive a FREE REFILL for referrals that result in new installations and a minimum of 1 year service agreements. That's a $173.99 value! If pre-paid already, the free refill is deducted from the next year's scheduled refill services. There are no refunds or credits for the current year because of purchase schedules. The free refill is not available in conjunction with the Chili's $25 Thank You referral.